Back when my mom was a little girl, a steamed suet pudding was a delectable Christmas dessert tradition during the large family gathering at her house. Traditionally, suet, which is beef or lamb fat, is mixed with flour, raisins and varying spices in order to create a steamed pudding that many associate with British cuisine. As a great antiquity, this comforting dish surprisingly did not emerge as a dessert, but rather as a means of preserving meat at the end of the season. With a love for crisp apples, raisins and warm Autumn spices, my eyes grew wide with excitement when my mom mentioned how long it has been since she last tasted this elegant dish. 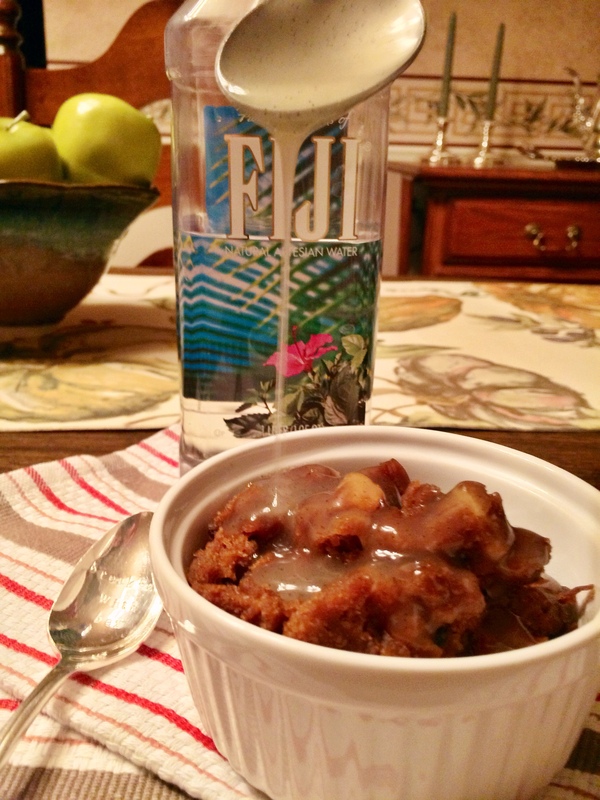 In the comfort of my own kitchen located in Penfield, NY, I decided to take on the fun challenge of slow-cooking this flavorful pudding with a FIJI Water enhanced light vanilla bean white sauce. My brothers and I sure did enjoy the comforting scent of home cooking during our mid-semester break away from our hectic college/teaching lifestyles. Delicious home cooking truly takes time and care to prepare, just like FIJI water, which filters through layers of volcanic rock by slowly accumulating electrolytes and natural minerals to define its unique, smooth taste. 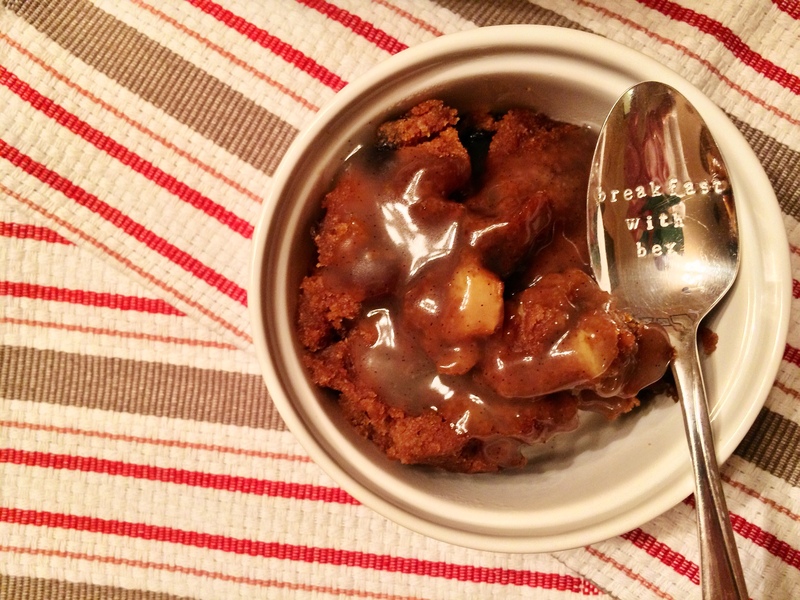 The slow cooking of this pudding brings out the most sensual autumn spices and flavors, making you want to curl up by the fireplace with a warm cup of coffee or tea and a nice book. Once the pudding was almost cooked to perfection, I prepared a light white sauce engulfed with the smooth taste of FIJI water and rich vanilla bean flavor. Slower is better when it comes to perfecting this sauce. I did not want a super heavy, thick sauce to accompany the tasteful, rich pudding so I made sure to whisk the sauce slowly on low-heat. This ensured its gradual, natural movement to a thick, but not too-thick, consistency similar to the way in which FIJI Water is collected in a natural artesian aquifer, deep under the Earth’s surface until natural pressure forces the water towards the surface where it is then bottled. 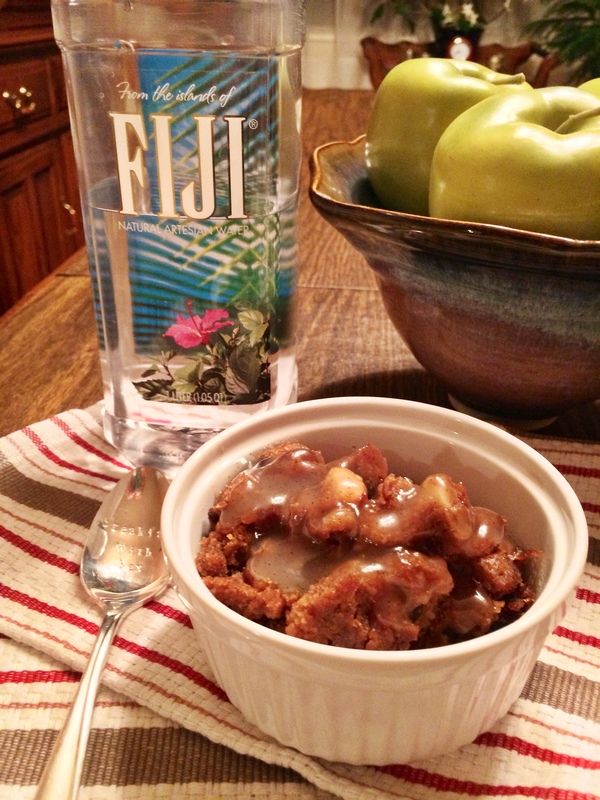 This savory fall treat would not have been complete without the warm, slow cooked white sauce made specifically with the smooth and pure savor of FIJI Water. Spend a few hours to prepare this soothing seasonal delight because your time is truly worth the perfection. Place pan on a rack in a steamer pan filled with boiling water. Cover and cook over medium heat at a low boil for approximately 2 ½ – 3 hours or until toothpick inserted in center comes out clean. Add boiling water in the steamer every 45 minutes to keep water just below rack. Spoon the steamed suet pudding into a small ramekin and drizzle the white sauce over it to serve. Bon appétit!